The Planning Officer of NEMA, Mr Segun Afolayan, told the News Agency of Nigeria (NAN) in Lagos on Friday that the returnees arrived at the Murtala Muhammed International Airport, Ikeja, at 9.45p.m. on Thursday. Afolayan said that the returnees landed at the Cargo Wing of the airport aboard Libyan Airline flight with registration number 5A-DMG. He said that they were brought back through the assistance of the International Organisation for Migration (IOM). 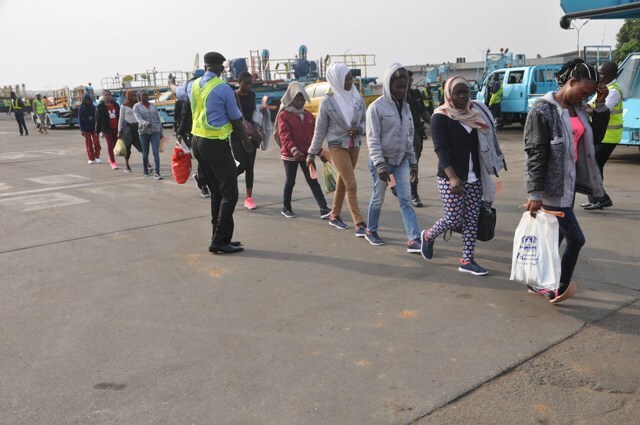 155 Nigerians had voluntarily returned from Libya on July 5, with the assistance of the IOM.